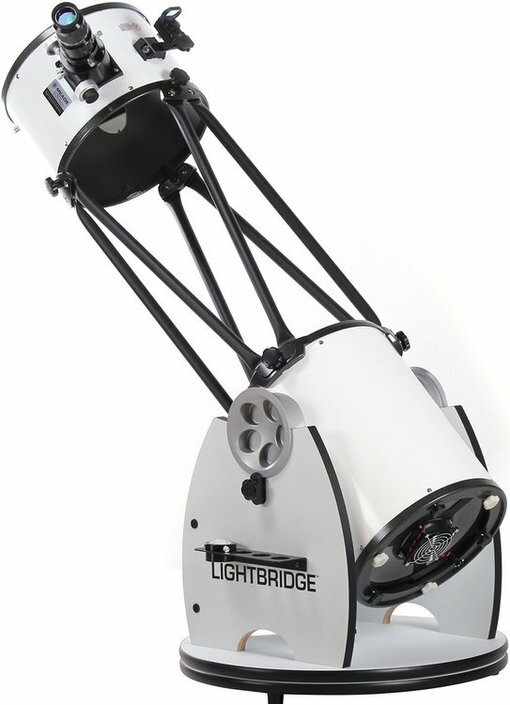 The Meade LightBridge 10 "is ideal for deep-sky observations and photography. The lens diameter is 254 millimeters and the focal length is 1270 millimeters. Thanks to this combination, a meaningful enlargement of 504x is possible. The telescope is easy to set up and use on location. Despite the fact that the telescope is easy to set up, it does not fit in every trunk and is quite heavy with its weight of 34 kilograms. 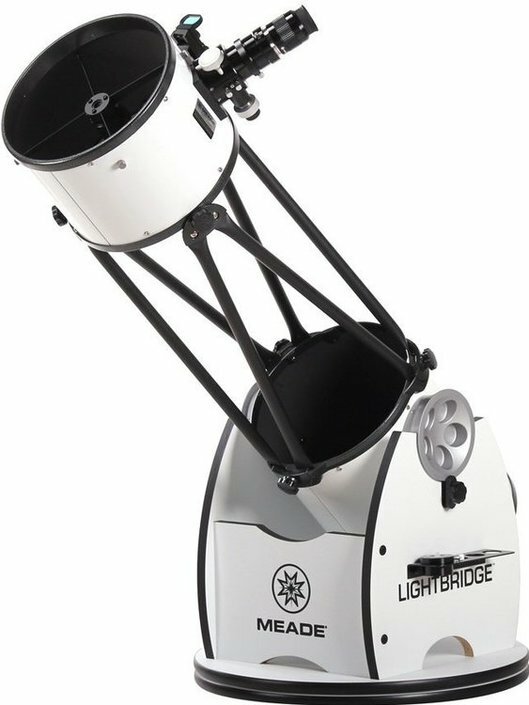 The Lightbridge series from Meade is designed to make deep sky observations on location. If the telescope is collapsed, it is like a long tube that can easily be mounted to a telescope. This ensures that it is easy to carry without compromising on the quality of sight . To align the telescope you can use the Red Dot finder, after which you can get started right away. The telescope comes with software that gives you information about the different objects. The optic used in this Meade telescope has a multi coating . This makes the image clear and sharp. The diameter of the lens is 254 millimeters and even captures the less strong light rays from the universe. This, combined with the focal length of 1270 millimeters, makes this telescope very suitable for deep sky observations and astrophotography. The maximum useful magnification of this telescope is 504x. 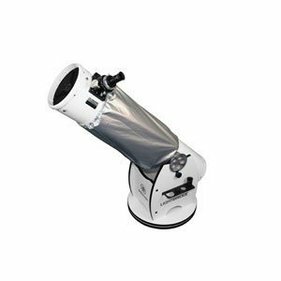 You can also observe the moon and planets with this telescope, but the quality of the image will not be of the highest quality. 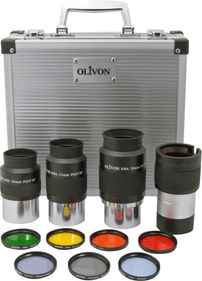 You can use 2 "and 1.25" eyepieces in combination with this telescope. 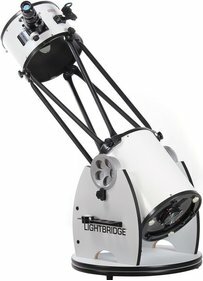 Write a review By sharing your experience with the Meade Lightbridge 10 "Dobson, you can help others (perhaps still doubting customers) with making a good choice.